Celebrate your special event with our design cast skeleton key lapel pin. 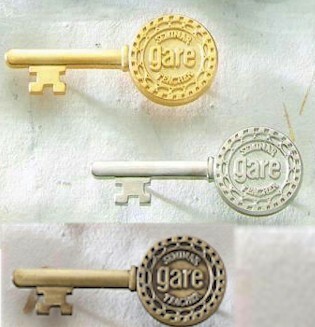 Key Lapel Pin - Available in gold, silver, or antique finish. Now your executives and guests can proudly wear a Key to the City lapel pin. 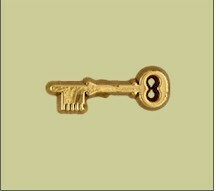 Gold Plastic Skeleton Key Lapel Pin. 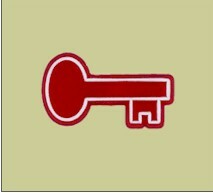 Red Plastic Key Lapel Pin with White Trim. 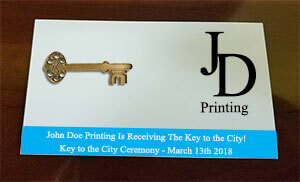 These presentation cards with key to the city lapel pins are the perfect keepsake for your big event!